Compile a list of friends who are knowledgeable about film and make sure not to invite any of them. Pass out ballots for everyone to fill out. Whoever has the most correct guesses at the end of the night gets installed as a board member of the Academy of Motion Picture Arts and Sciences. Remember, it’s always safer to stick to prewritten material than risk any off-the-cuff banter with your guests. As host, your job is to graciously defuse any violent tantrums when Oliver Tarney upsets Lon Bender for the Best Sound Editing award. Make sure to say a few things about how shameful the Academy’s lack of diversity is so everyone knows you know about that. Hide a camera in the bathroom just like real paparazzi. 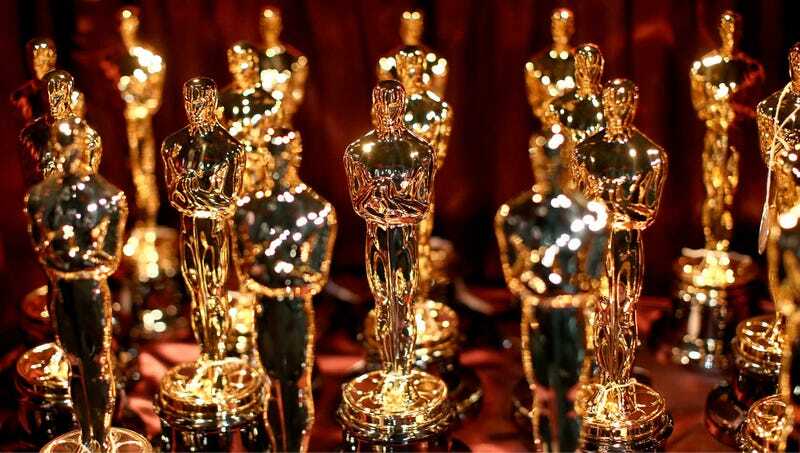 Be sure to congratulate any Oscar nominees at your party whether they win or not. Ultimately, as with any party, the most important thing is to give everyone a chance to sit back, relax, and watch far more attractive and successful people have the night of their lives.